﻿ How to Create an Email in Record Time » Red Mango Marketing! Let’s get right to it, shall we? You want to be more consistent in sending quality emails to your customers or supporters. But where are you going to find the time? Our latest webinar, Create Better Emails in Less Time, is designed to help you find it. We’ll walk you through some ideas and features that will save you time and maintain consistency in your email marketing messages, each time you hit send. You’ll learn how to create a branded, reusable email template; as well as best practices for adding images, and tips to improve your results. If you had to put a number on how much time it takes you to create an email from scratch, how long do you think it takes you? Yikes. No wonder it’s so hard to find the time for your email marketing. See those two arrows? 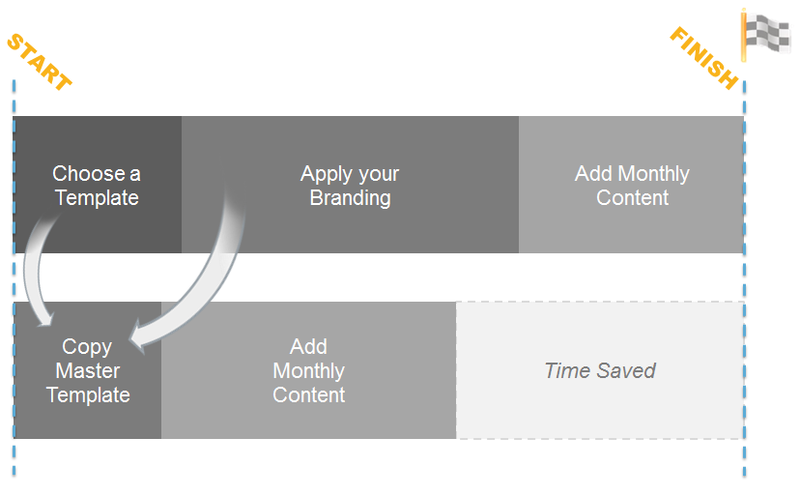 What if all the time you spent choosing a template and applying your branding could be condensed to just a couple clicks? That’s what happens when you take the time to create a reusable, master email template. A master email template saves you time, creates consistency in your messages, and increases engagement. Best of all, with a master template, you no longer have to start from scratch. Just make a copy and add in your new content. Worried about what to say in your email? Keep it simple by adding a headline, short message body, and clear call-to-action. By using a master template for your email design and an easy formula to help you write your content, you’ll get your email out the door faster than ever before. There’s more to come! Join us for our upcoming webinar: Create Better Emails in Less Time for the full experience. We’ll show you these tips in action through a live demonstration. You’ll see how to create a master template that perfectly fits your brand and drives action with your audience. Sign up now and ask us your questions in the comments below. We’re here to help! 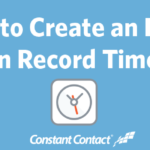 The post How to Create an Email in Record Time appeared first on Constant Contact Blogs. This entry was posted on Wednesday, June 22nd, 2016 at 9:00 am	and is filed under email design, Email Marketing, images, News & Updates. You can follow any responses to this entry through the RSS 2.0 feed. Both comments and pings are currently closed.